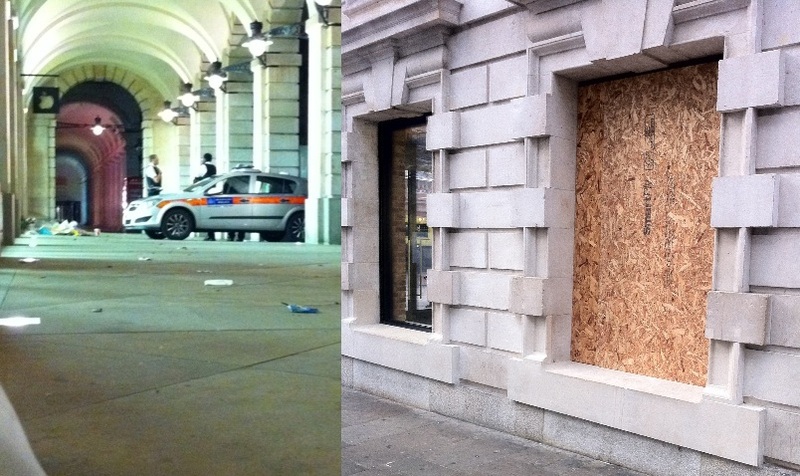 At around 1:15 a.m. this morning, a gang of about seven moped riders robbed Apple’s Covent Garden store in London, UK. The group broke through a window and made off with MacBook laptops, iPhones, and iPads, according to TheNextWeb. The police have already arrested two supposed members of the gang, but it is unknown precisely how much merchandise the thieves sped off with. Robert Shoesmith, an Apple fan who has been camping out for the iPhone 4S, was sleeping outside the store when he heard the alarms go off. 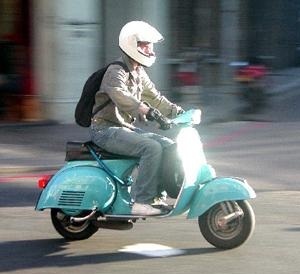 The police report that most mopeds had a second passenger on them and all cyclists were wearing crash helmets. Police chased after one moped, but lost it. Another moped was found abandoned next to the building where the two men were arrested. They had bags full of Apple gear. We have always wanted to report on a wily gang of moped riders. We suspect they looked something like this picture, but doubled up and with a backpack full of iPads.